Dhaka, 25 September, Abnews: Twenty-nine people were rescued on Monday in Jammu and Kashmir's Kathua district after flash floods and heavy rains, officials said. Traffic on the Jammu-Srinagar national highway, the all-weather road linking Kashmir to the rest of the country, was also restored on Monday a day after it was closed due to landslides at different places, they said. They were rescued from the Nagri, Chabbe Chak and Jakhole and Billawar areas of the district by police and state disaster response force personnel. Bovines are also being moved to safety, the officials said. Rescue and police teams have been deployed at various areas following the flash floods triggered by incessant rains in different rivers of Kathua district, they said. 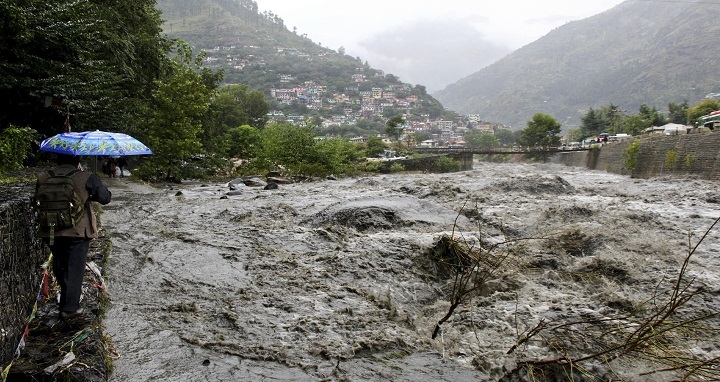 In Doda district, authorities have ordered the closure of all educational institutions as a precautionary measure and also set up control rooms in view of heavy rains in the Jammu region since the last two days, the officials said. "Police are on high alert to meet any exigency due to floods. Police teams are deployed at vulnerable points and helpline numbers have been opened," the officer said. With improvement in weather, authorities on Monday morning opened the 270-km Jammu-Srinagar national highway for traffic. "The road was cleared late Sunday night and light motor vehicles were allowed to move on the highway from Srinagar and Jammu Monday morning," a traffic department spokesman said. Multiple landslides and shooting stones from a hillock along the highway between Ramban and Udhampur districts blocked the arterial road Sunday morning. The road was cleared by the road maintenance agency concerned and made traffic worthy, the spokesman said. He said the vehicles stranded at Mansar, Manwal, Flata, Sangoor, Jakheni and Udhampur have been allowed to proceed. In Doda, officials said district authorities announced closure of all educational institutions in view of heavy rains that triggered floods in Neeru stream and various rivulets. The local administration has also directed people to remain indoors and not venture near water bodies or slopes. "People residing near banks of the Neeru and it's tributaries have been advised to be careful and avoid crossing temporary bridges or crossings over the streams," the officials said.